The real estate market has recovered from the foreign-buyer tax lull that was introduced a year ago with the second-hottest August on record. Last month, there were 3,043 home sales in the Greater Vancouver area which is 2.80% and 22.30% higher than July 2017 and August 2016, respectively. 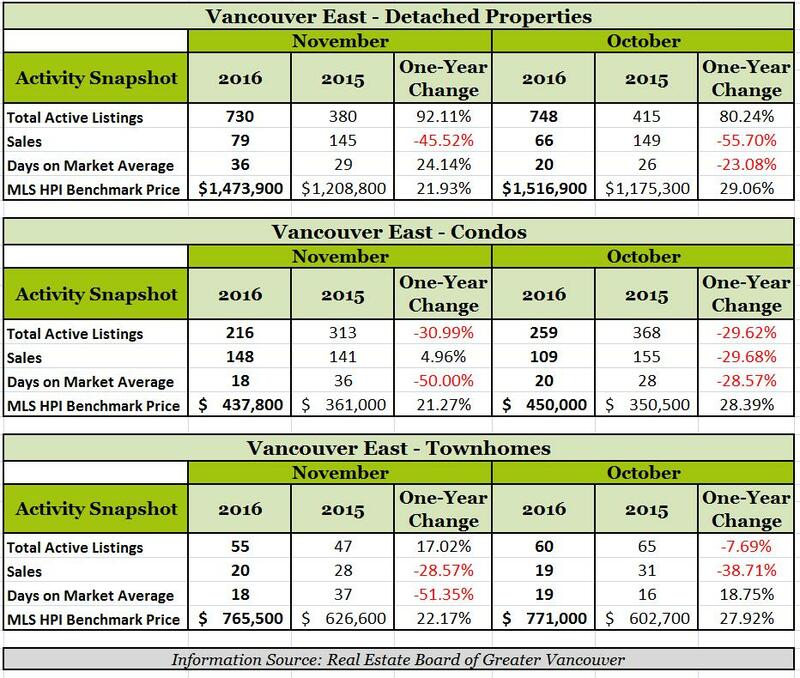 Below you will find a comparative chart that depicts the Greater Vancouver residential sales from 2015 to present. Once again, demand is outpacing supply with the number of listings declining month over month and year over year. It is a seller's market for August 2017 with a sales-to-active listings ratio of 34.6%. Looking at this ratio by property type, it is 16.3% for detached homes (buyer's market) and 44.8% for townhomes and 76.3% for condominiums (strong seller's markets). Home prices are on the rise which is primarily attributed to the townhome and condo sector. The MLS® composite benchmark price for all residential properties in Greater Vancouver is 1% higher than July at $1,029,700. The benchmark price for single-family homes are now $1,615,100 which is a 2.2% increase compared to August 2016. As for attached units, the benchmark price is now $778,300 which is a 12.8% increase compared to August 2016. Lastly, the benchmark price for condos are now $626,800 which is a 19.4% increase compared to August 2016. 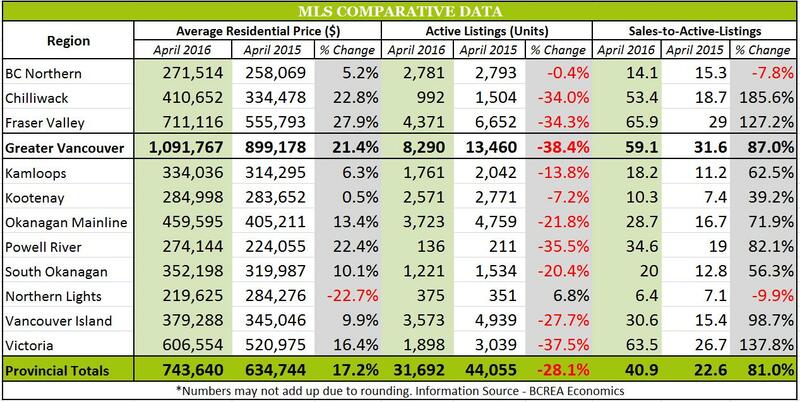 The British Columbia Real Estate Association (BCREA) saw a 23.9% decrease in residential unit sales in comparison from April 2016 to April 2017 (9,865 units recorded by MLS®). 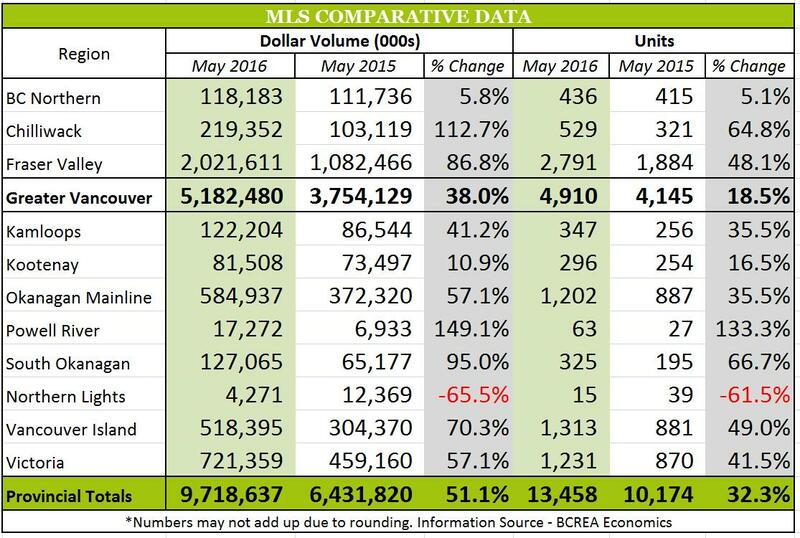 Comparing to the same period last year, total sales dollar volume was $7.19 Billion which is a 25.4% decrease and the average MLS® residential price in BC has seen a 2% bringing it down to $728,955. “BC home sales are on an upward trend this spring, led by a sharp increase in consumer demand in the Lower Mainland,” said Cameron Muir, BCREA Chief Economist. Home inventories are at a 20-year low. Currently, the seasonally adjusted annual rate (SAAR) of home sales has seen a significant increase in relation to the five-year SAAR for April. (89,000 to 106,000 units). SAAR is a rate adjustment that attempts to remove seasonal variations in the data. There was a 17% decrease in the supply of homes available for sale in comparison to April 2016 figures. Adjusted for seasonal variations, active residential listings have seen a 50% decline since 2012 and are now at their lowest level in over 20 years. Due to the imbalance between supply and demand, demand is driving home prices higher in most regions. Year-to-date, BC residential sales dollar volume was down 31.8 per cent to $21.3 billion, when compared with the same period in 2016. Residential unit sales declined 25.0 per cent to 30,757 units, while the average MLS® residential price was down 9.2 per cent to $692,220. Last month saw a 31.7% decrease in residential unit sales of 6,580 units recorded by the Multiple Listing Service® (MLS®) in comparison to the same period last year. The total sales dollar volume also saw a decrease of 39.7% bringing it down to $4.53 Billion. "Consumer demand has returned to a more typical level over the first two months of the year," says Cameron Muir, BCREA Chief Economist. "While the home sales have declined nearly 32 per cent from the extraordinary performance of a year ago, last month's activity reflected the average for the month February since the year 2000." As for the average MLS® residential price in the province, it also saw an 11.7% decrease which brought it down to $688,117. A main factor driving the average price down is that there was a decline in the proportion of provincial sales originating from the Vancouver region. 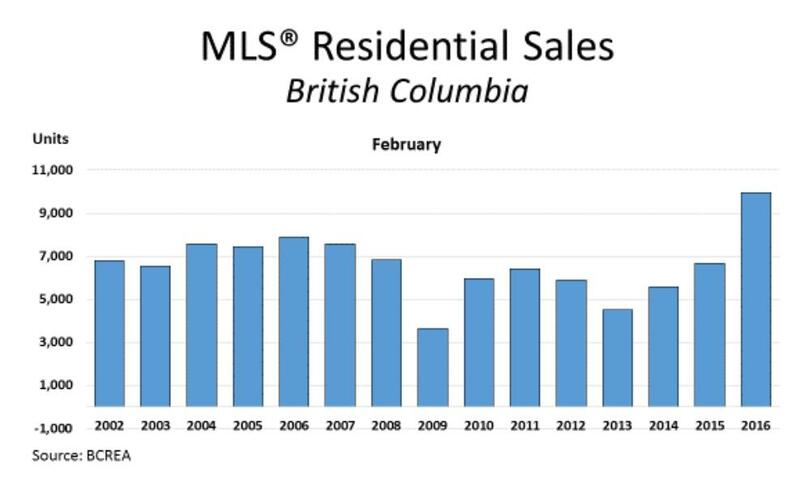 There has been a 7% decline in BC home sales occurring in the REBGV area (44% to 37%) from the same period last year. 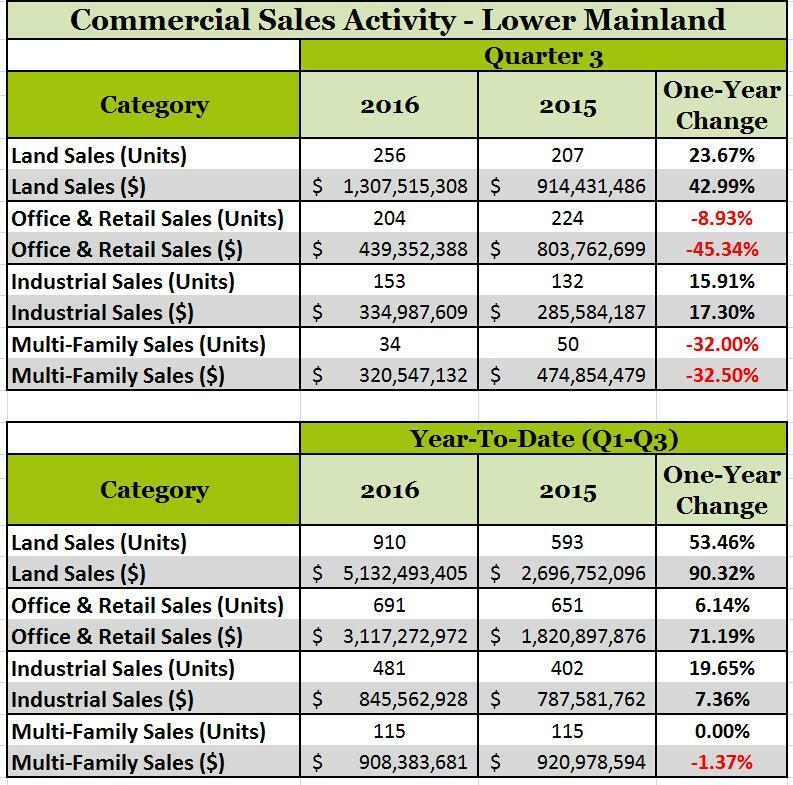 Year-to-date, there has been a decrease of 38.5% in BC residential sales dollar volume bringing it down to $7.3 Billion. Additionally, there has been a decrease of 28.5% in residential unit sales to 11,067 units and a decrease of 14.1% in the average MLS® residential price to $660,943. For all your real estate needs, contact Amalia Liapis at 604-618-7000 or alternatively, at amalia@wesellvancouver.ca. Overall, we have seen a decrease in residential sales when comparing January 2017 to January 2016. 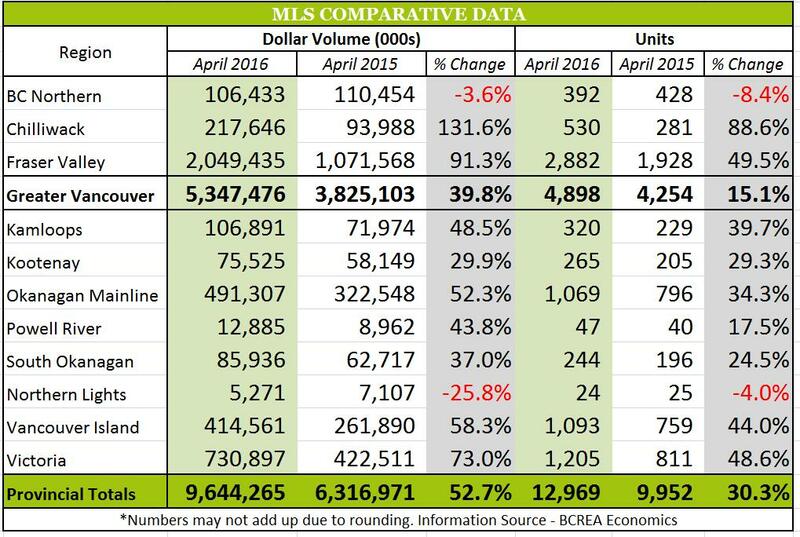 Last month, there were 4,487 residential unit sales recorded by MLS® which is a 23% decrease in comparison to January 2017. For the total sales dollar volume, it was recorded at $2.79 Billion which is a 36.5% decrease from the same period last year. 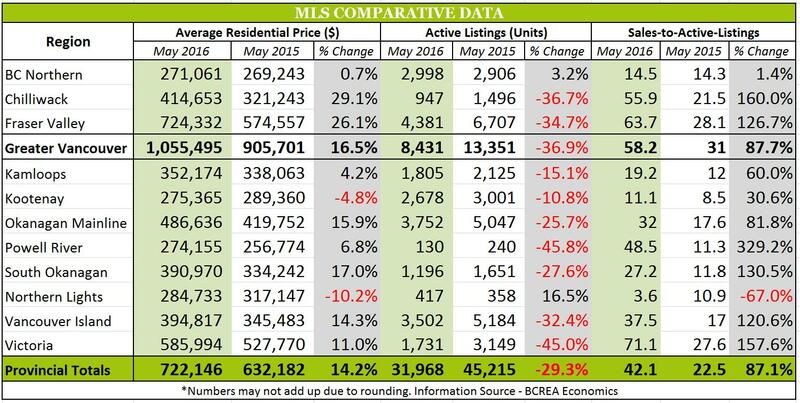 There has been a decrease of 17.5% in terms of the average MLS® residential price in BC bringing it to $621,093. "Housing demand across the province returned to long-term average levels last month," said Cameron Muir, BCREA Chief Economist. "However, regional variations persist, with Victoria posting above average performance and Vancouver falling below the average." The decrease in the average MLS® residential price is largely attributed to there being more residential sales made in areas outside of the Lower Mainland. 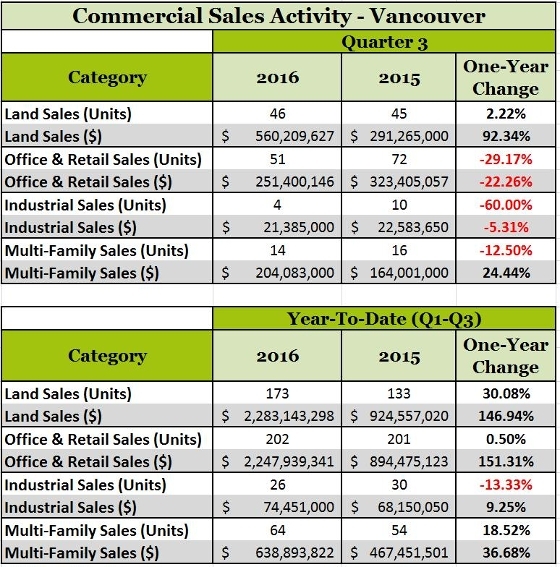 Vancouver residential sales fell from 43% of provincial transactions to 35%. In addition, Vancouver detached home sales have seen a decrease relative to multi-family units as they have skewed the average price statistic down. The MLS® Residential Benchmark Price in the Real Estate Board of Greater Vancouver area has seen a 3.7% decrease over the past six months, but is up 15.6% from January 2016. 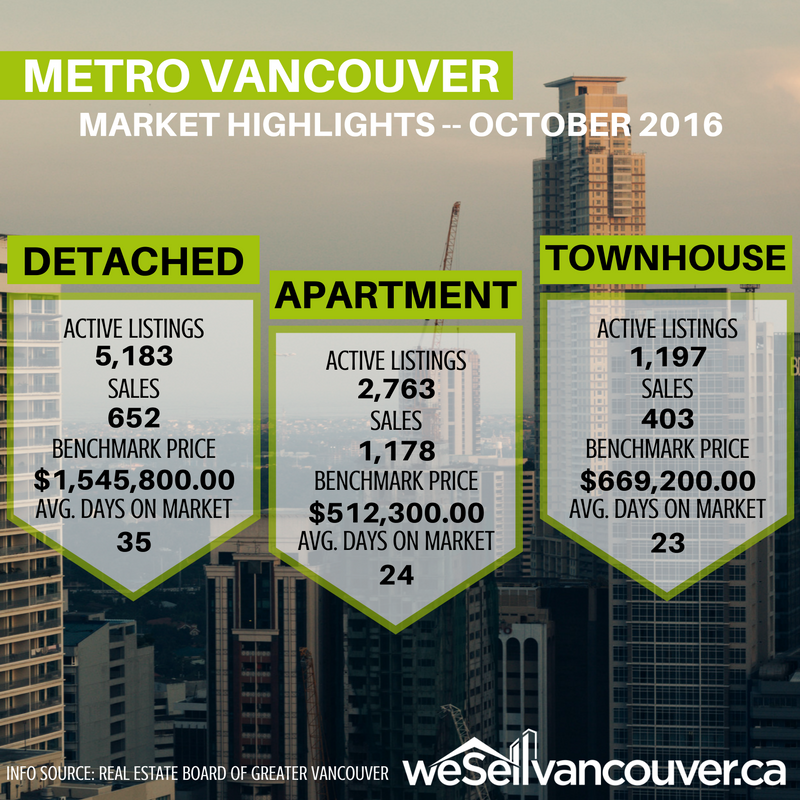 Wondering what the residential sales statistics for Vancouver East are for October and November? Take a look below for a comparative analysis for detached properties, condominiums and townhomes. As you can see, for the most part, there has been a drop in sales when comparing year over year. If we were to look at the change from October 2016 to November 2016, we can see that sales have actually gone up. The sales increase percentages are as follows: 19.7% increase for detached properties, 35.78% for condos and 5.26% for townhomes. While the one-year changes for the benchmark price have seen an increase across the board, it's a different story when comparing October 2016 figures with November 2016 figures. There has been a decrease for detached properties, condos and townhomes of 2.83%, 2.71% and 0.71%, respectively. For a look at the MLS HPI Benchmark Price over a 10-year span, click here. Stay tuned - our next blog will take a look at Vancouver West! For all your real estate needs, contact the WeSellVancouver team at info@wesellvancouver.ca or alternatively at 604-801-6654. 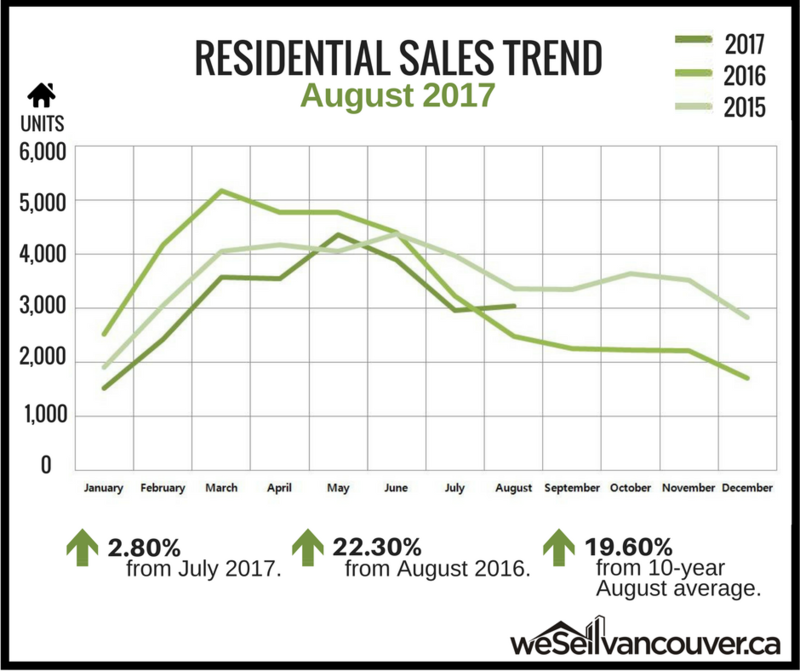 Vancouver has seen slower home sales in August but there has been an overall strong housing demand across most regions within BC. There were 8,945 residential units recorded by the Multiple Listing Service® (MLS®) last month which is an increase of 1.5% compared to the same month last year. As for the total sales dollar volume, it has seen a decrease of 6.7% compared to last year with a total of $5.1 Billion in sales. The average MLS® price has also seen a deline of 8.1% compared to the same month last year which brings it to $569,393. "The newly introduced 15 per cent foreign buyer tax combined with the 3 per cent property transfer tax on homes over $2 million brought in earlier this year, slowed demand at the top end of the market in Vancouver last month." - Cameron Muir, BCREA Chief Economist. Year-to-date, the BC residential sales dollar increased to $61.6 Billion (39.1% increase) when compared to the same period in 2015. As for the unit sales, it has also increased to 86,206 units (22.1% increase) whereas the average MLS® residential price totaled $714,400 (13.9%). 2016 was off to a good start with record-breaking sales while July and August saw more historically normal activity. The new foreign tax implemented appears to be a factor in the downward residential sales within the Metro Vancouver area. It has reduced foreign buyer activity within the residential market and has caused some uncertainty amongst local home buyers and sellers. It may be a little early to see the true impact of this new tax but in a few months time, we would be able to analyze foreign buyer data more closely. As September comes to an end, stay tuned in the next few weeks for stats on this month. For all your real estate needs, contact the WeSellVancouver team at info@wesellvancouver.ca or alternatively at 604-801-6654. Up until the end of June, we've seen an ongoing trend of residential sales going through the roof. However, it's a different story for July! When comparing July 2016 residential property sales to July 2015 figures, we see a decrease of 18.9% (3,226 vs. 3,978 sales) and a decrease of 26.7% from last month. For the first half of the year, home sales have registered at over 4,000 units per month. July was the first time this year that home sales did not hit the 4,000 mark. In July 2016, new listings for detached, attached and apartment properties in Metro Vancouver have seen an increase of 2.5% totalling 5,241 units in comparison to the same month last year and a 10.8 decrease in comparison to last month. There has been a 27.4% decline in total number of properties currently listed for sale on MLS® compared to July 2015 and a 6.9% increase compared to June 2016. 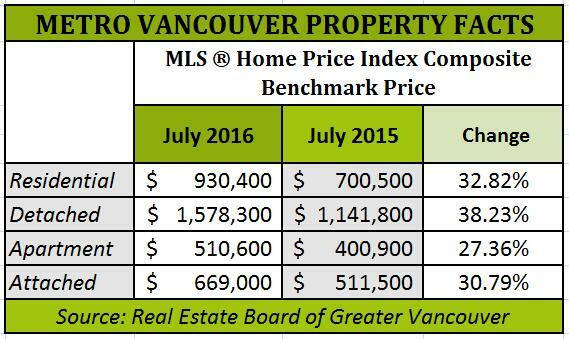 Take a look below at the comparables in the MLS® HPI Composite Benchmark Price from July 2015 to July 2016. Click on the photo below to enlarge it for better viewing. For a more detailed look at the MLS® Sales Facts, click here. Residential sales for the month of March 2016 set an all-time record with a total of 12,560 unit sales which is a 38% increase in comparison to March 2015. In respect to last month's sales, the dollar volume totalled $9.69 Billion which is a 66.9% increase from last year. The average MLS® residential price increased 20.2% year-over-year to $771,620. "Housing demand has never been stronger in the province," said Cameron Muir, BCREA Chief Economist. "Most large population centres of the province are now experiencing record levels of housing demand." "Strong employment growth, rising wages and a marked increase in net inter-provincial migration is fueling consumer confidence," added Muir. Strong consumer demand has been a trend in 2016 with not enough homes on the market to supply that demand. Consequently, inventory of homes for sale is at decade-long lows in many regions within BC. 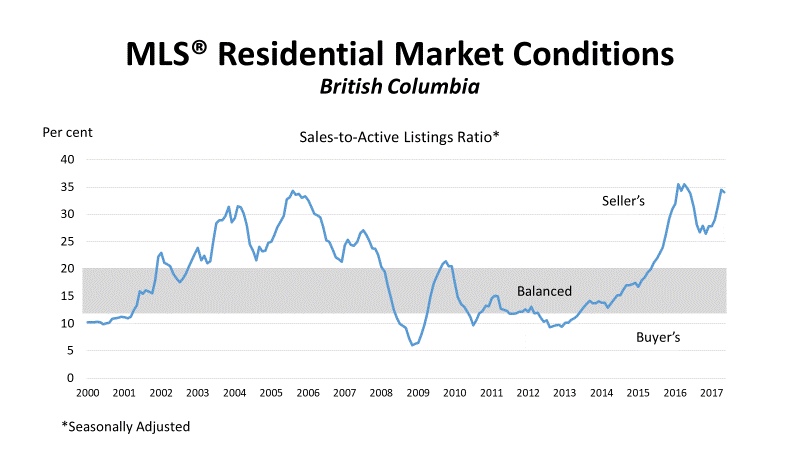 Looking at year-to-date data, BC residential sales dollar volume totals $21.59 Billion which is a drastic jump of 70.1% in comparison to the same period last year. Unit sales increased by 39.2% to 28,028 units with an average MLS® residential price of $770,408 (22.2% increase). If you're looking to buy or sell, we've got you covered. Contact Amalia Liapis at amalia@wesellvancouver.ca or alternatively, at 604-618-7000. As we take a look at MLS® sales figures for February 2016, it is evident that there has been a substantial increase in residential unit sales in comparison to February 2015 numbers with a total increase of 44.7% (9,637 sales). There is a stark contrast in terms of total sales dollar volume from one year to the next with a total of $7.51 Billion which is a 76.4% increase. The average MLS® residential price in the province was up 21.9 per cent year-over-year, to $779,419. 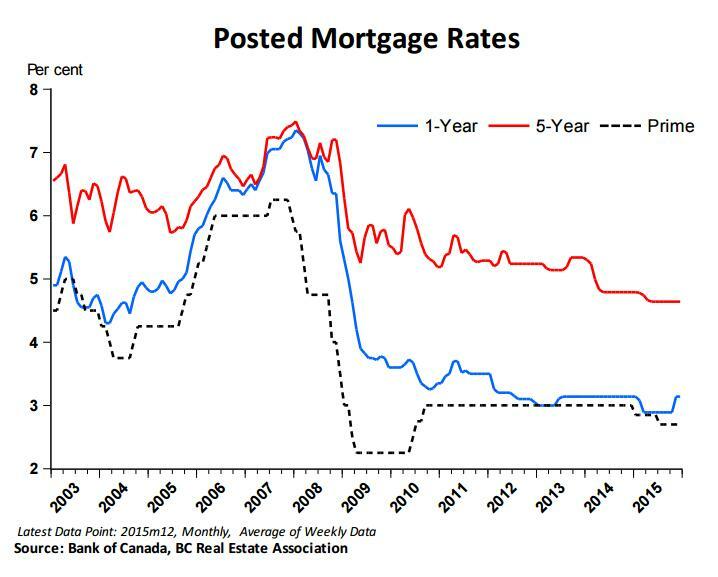 "Housing demand is now at a break-neck pace," said Cameron Muir, BCREA Chief Economist. "Home sales last month were not only a record for the month of February, but on a seasonally adjusted basis, demand has never been stronger in the province." "Downward pressure on active listings has created significant upward pressure on home prices in some regions, particularly in Vancouver and the Fraser Valley," added Muir. "While home builders have responded with a record pace of housing starts for BC last month, the supply isn't expected alleviate the imbalance in these markets in the near term." 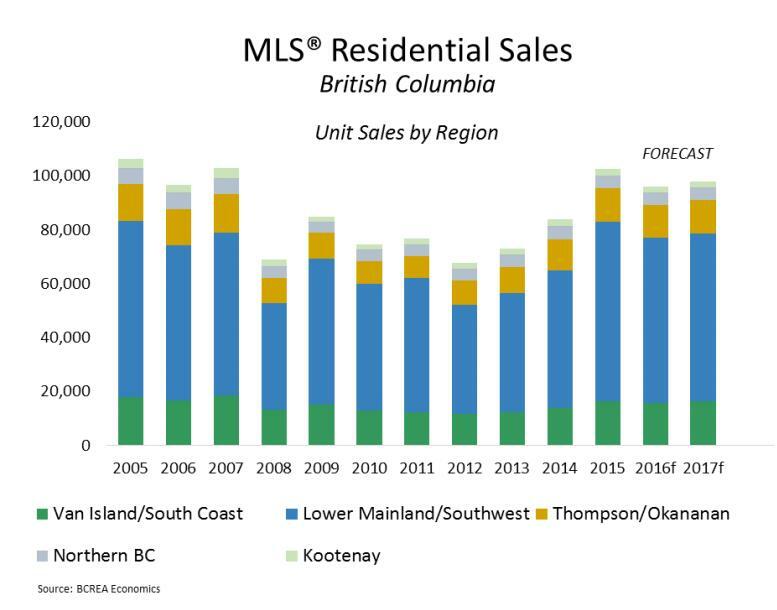 Looking at year-to-date data, residential sales dollar volume for BC has increased 73.6% to $11.9 Billion in contrast to the same period in 2015 whereas unit sales increased 40.1% to 15,468 units. At the rate this is going, it is no wonder why the intense housing demand is causing a shortage of supply. For all your real estate needs, contact Amalia Liapis at amalia@wesellvancouver.ca or alternatively, at 604-618-7000.